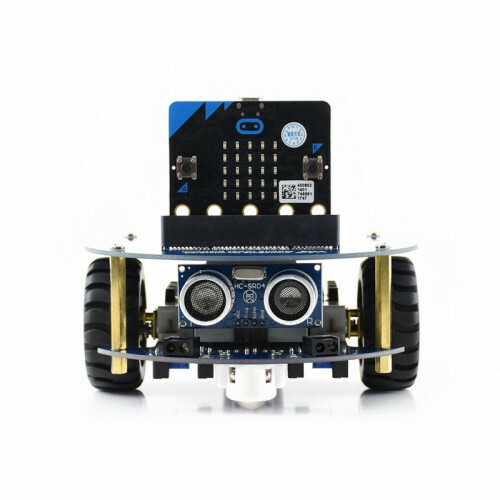 AlphaBot2 robot building kit for micro:bit, with controller BBC micro:bit. 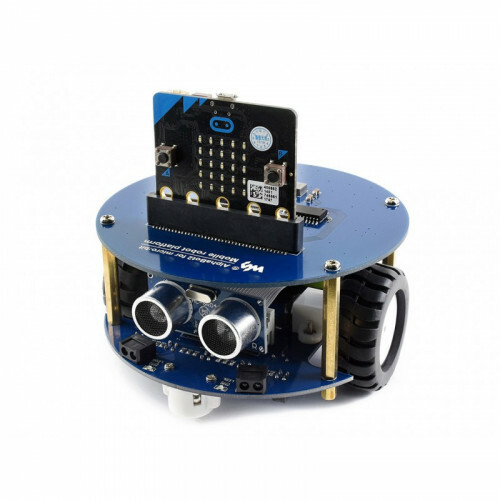 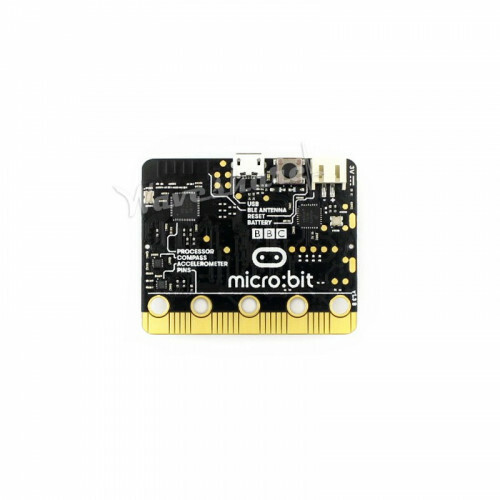 This AlphaBot2 robot kit is designed to use with the BBC micro:bit. 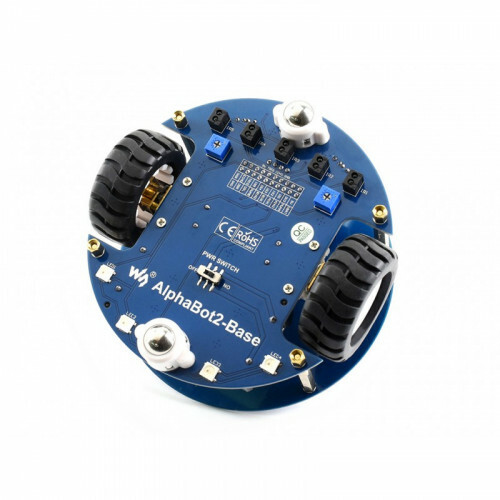 It features rich common robot functions including line tracking, obstacle avoiding, ultrasonic ranging, Bluetooth/2.4G remote control, etc.